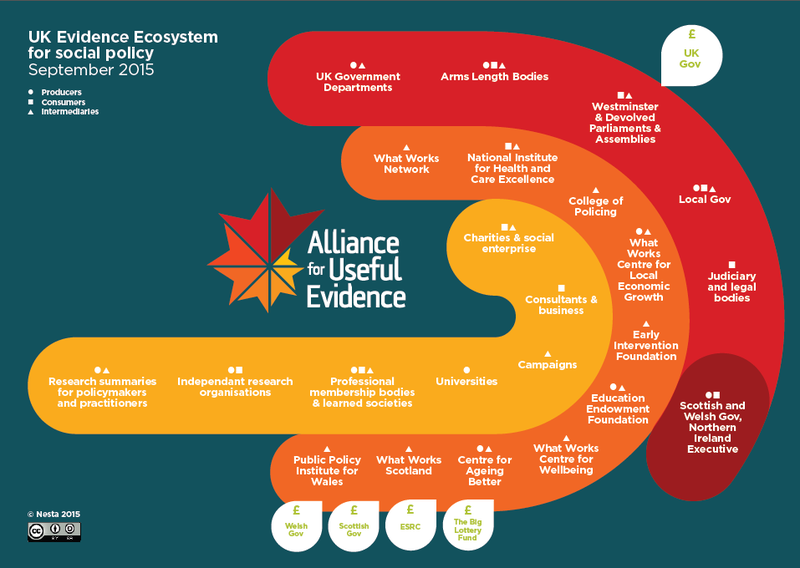 Last week the Alliance for Useful Evidence and The Social Innovation Partnership published an evidence ecosystem map, designed to give a picture of the diversity of organisations involved in supporting evidence use in the government and public sector. We were proud that two key Idox products were recognised for making research relevant and accessible to practitioners – not just researchers. The Idox Information Service holds over 200,000 summarised research resources and covers over thirty areas of public policy, including planning, economic development and housing. Idox also contributes data to the Social Policy and Practice database, which focuses on health and social care evidence. Our research team work every day on creating relevant content for our public policy databases. And for the last forty years our mission has been to improve access to research and evidence for local authorities, government agencies and consultancies. You might be surprised to hear though that UK-produced databases are now a rarity, despite the desire for evidence-based policy being stronger than ever. Over the last four decades, information services have rapidly evolved, responding to both technology developments and to changes in user expectations. The UK used to be a strong competitor in the provision of databases however there are now very few remaining British social science databases. One of the problems is that many people are unaware that UK databases exist or why they are important. We wrote earlier this year about why using UK-sourced evidence is part of a good literature searching technique and also means that UK policymakers and practitioners draw on relevant research, case studies and commentary. The Idox Information Service (formerly The Planning Exchange) has been providing information services on public policy and practice to central government, public agencies, councils and universities since its inception in the late 1970’s. Its central aim is to support evidence-based policy, by providing UK-relevant resources and research support. Today it holds over 200,000 resources, increasing by up to 1,000 abstracts every month, across 30 public policy areas. These include planning, regeneration, housing, social policy and economic development. Every item is abstracted specially, rather than re-using publisher abstracts. Ageinfo is the only UK database covering all aspects of ageing and older age, including research and practice in the social and health issues of older age. It is a bibliographic database of over 55,000 books, articles and reports from the specialist collection held by the Centre for Policy on Ageing, who also undertake commissioned research. Created mainly by volunteers now, the database covers policy, support and services on ageing – including health and social services; residential and community care; living arrangements; financial inclusion; independent living; citizenship; rights and risks. A free resource for those working in the childcare and protection sector, the NSPCC library catalogue, known as NSPCC Inform, is dedicated to child protection, child abuse and child neglect. It includes case reviews, training resources and practice toolkits, international journals and grey literature. Previously known as Caredata, Social Care Online is a database produced by the Social Care Institute for Excellence, with over 150,000 abstracts covering all aspects of social care, social welfare and social policy. It is currently free to access. It covers information on people with social care needs; those receiving care services; key issues such as integrated services, safeguarding or legislation; and the social care workforce. From the National Children’s Bureau charity, ChildData is a bibliographic database covering all aspects of research and practice in young people’s social care. It is now only available through Social Policy and Practice. Content includes reports, research and resources on early childhood; education and learning; health and wellbeing; involving young people; play; sector improvement; SEN and disability; and vulnerable children. A one-stop-shop for research, analysis and discussion of health and social care, the Social Policy and Practice database holds over 350,000 abstracts on social policy, and 30% of content is grey literature. The database made up from selected content from the major UK database providers: Idox Information Service, Social Care Institute for Excellence, National Children’s Bureau, the Centre for Policy on Ageing and the NSPCC. It is sold and distributed by Ovid Technologies, primarily to universities and the NHS. There are some other specialist UK libraries and database producers in the field of health policy. The Kings Fund produces an online database in the area of health management and policy (not clinical information). The Royal College of Nursing and the Royal Society of Medicine have their library catalogues online. A scoping review in 2005 suggested that people searching for social science evidence tend to neglect the question of geographical and coverage bias within research sources. By using these UK services described above, users know they have taken the quickest path to reviewing relevant evidence, confident that they are up to date, and focused on best practice within the UK. The rise of the internet makes it increasingly difficult to assess the quality of evidence and all these databases are produced by teams who specialise in the subejct area. Sourcing and selection of resources is based on the knowledge, experience and expertise of real people and organisations operating within the policy fields. Keywords and indexing is also UK-focused, which makes searching easier. Finally, you can get a fuller picture of a subject area, by looking at valuable grey literature rather than relying on peer reviewed journals. Grey literature is produced directly by organisations, including government departments and agencies, academic research centres, NGOs and think tanks, and commercial consultants, and has been found to be especialy useful for the complex information needs of policy makers. There are many students and academics who remain unaware of UK databases, and it is disappointing how many commisisoned literature reviews will rely on one or two commercial (American-produced) databases. To change this, and ensure that the next generation of policymakers and practitioners know the valuable resources that are available to them, we would love to see academic librarians advocate for specialist databases, rather than relying on what the major publishers will bundle in discovery systems. And we hope the new evidence ecosystem map will raise awareness of the wide variety of organisations and groups who produce and use evidence in the UK. We are currently offering a free trial of our database to librarians or academics who run courses in social policy, public policy or planning and the built enviornment. Contact us for more information. 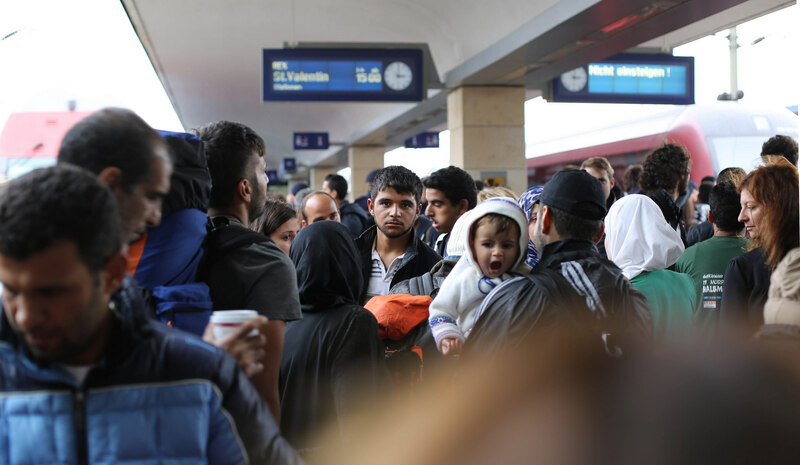 With the impact of refugees, asylum seekers and migration receiving high levels of media coverage at the moment, this blog highlights some of the statistics and recent research into the issues. Asylum seekers and refugees’ nationalities change as crises hit. Briefings by The Migration Observatory at the University of Oxford highlight that Syrian refugees have risen from 5th in the league to 3rd in 2014, and given recent images in the news this position is likely to rise. The year before, Eritrea made first place. In the 12 months to June 2015 there has been a 62% increase in applications across Europe. In 1992/3 there was a surge in applications due to conflict in Kosovo and the Balkans, the last time similar numbers and make up of applicants were seen. In a normal year, 3 out of 4 applicants are men, of working age, as they are more able to make the journey and most likely to be in danger within an oppressive regime. In mass migration this changes dramatically to what we are seeing now, with families and lone children taking the risk in order to survive. In 2014 59% of asylum applications were initially refused with 28% of them eventually approved. On average (in a normal year) 30% stay and are classed as refugees. Over the same time period as these averages, the numbers of asylum seekers entering the EU have grown, but the UK share has shrunk in relative terms from 10% to 5%, less per capita than the European average. A report from the Children’s Society found that levels of support have not risen since 2011, representing a cut in real terms of almost 7.5%, pushing asylum seekers below the poverty line. Underlying this there are complex trends however, with recent rises in applications notably from Nigeria, Ukraine and Iraq. Even without Syrian refugees there is a continuing rise in asylum seekers. Net migration in the UK is at 330,000 in the year ending March 2015. Foreign born nationals now account for 8m of the population. The number is driven by both EU and non-EU migrants, in almost equal proportions. This proportion is similar across most EU countries. It is worth remembering that students account for a significant proportion of migration figures and (depending on the measure used) can account for half of net migration figures. The Observatory also highlights recent research that found that EU citizens born outside the EU (i.e. someone now a British citizen in London, born in Australia, America or Japan) are more successful at finding jobs, get better paid and are doing more skilled work than the average for EU citizens. So what further analysis and discussion has there been? A recent report by Centreforum, proposes reforms to the UK asylum system to ensure it operates in an efficient and humane fashion while maintaining public confidence, including reducing reliance on detention, reintroduction of the right to work and a humane response to women asylum seekers. The Joseph Rowntree Foundation has examined the problems facing destitute migrants in the UK and looks at potential solutions, focussing on the legal aspects and the support services in place. The Institute for Public Policy Research report on a fair deal for migration in the UK, looks at way to recognise the social and cultural impacts of migration, and makes recommendations for integration and an upfront levy for the use of free public services. The common hypothesis that welfare is a strong magnet for immigrants has been contested by the Centre for European Policy Studies. In the latest of our series of Q&As with leading advocates of the use of evidence in policymaking and practice, we talk to Michael Harris, Deputy Head of Research at the Royal Town Planning Institute. The RTPI holds a unique position in relation to planning as a professional membership body, a charity and a learned institute. They have a responsibility to promote the research needs of spatial planning in the UK, Ireland and internationally. They add to the evidence base through in-house research and policy analysis, for example their Policy papers. We interviewed Michael about the research issues facing the planning profession. Michael, how do you think planners benefit from developing their knowledge and use of evidence? I think all professions need to be evidence based, it’s the core of being a professional, and it enables you to perform your role, not just on a judgement but an expert professional one. This is the first way planners can benefit; keeping on top of what’s the best available evidence ensures you are effective. All professions have innovators, those who get things done and make changes, and learning from them and using their experience through case studies, best practice and collaboration ensures their good practice gets pushed out to the whole profession and that’s the core benefit of using evidence. The second benefit is getting the bigger picture, ensuring you understand the major economic, social and environmental challenges. Such as how to create growth, achieve sustainable development, and understand the impact of aging and climate change. All these need new thinking, innovation, and cross discipline knowledge – the best way to do this is through evidence and research. I work with policy makers to inform policy, and I constantly challenge the perception that planners are an inhibitor of growth. Evidence of the impact and the value which planners add to the growth of places, helps me challenge this perception and benefits the profession as a whole. What are the main issues facing planners in the next 5 years? What evidence will they need? Resources, having less and less and being asked to do more and more. How do we deal with those demands – evidence and sharing of best practice can play a critical role, we can learn from others, and other professions. 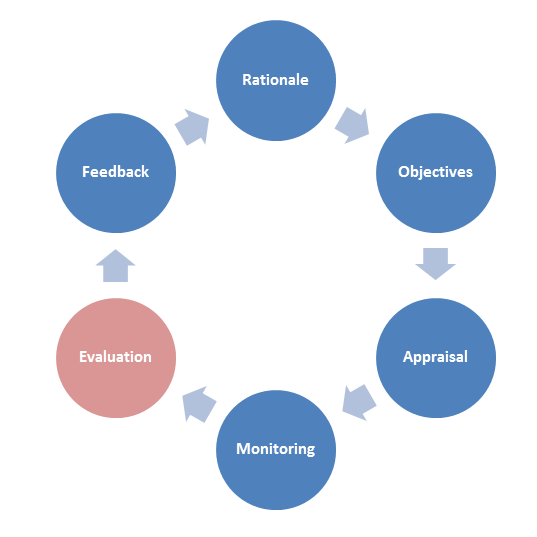 How do you move from just evaluating what you do based on efficiency and cutting costs to ensuring effectiveness, and improving the impact and outcome of what you are doing? Evidence can help you stop just thinking about efficiency and also take account of effectiveness. Demonstrating the value of planning – we need to make a stronger case for the economic, social and environmental role of planners, and not be characterised as processors. Planners carry out a key role in shaping the world around us, not simply managing a process, and the challenge is to continue to demonstrate this. Ensuring local participation and being more strategic, operating across boundaries, especially for issues such as flooding. It’s difficult for planners to act strategically if the political support isn’t there. There needs to be a will there to enable planners to be truly effective. None the less, a key duty of a professional is to promote understanding; the only way we can do this well, is to work more effectively across boundaries. My sense is that practitioners value examples of where other authorities have achieved more. Where strategic planning has worked and how you can make it work, or where someone has dealt with limited resources or sustainable development. Case studies are a core strand of accessible evidence, but many are buried in academic research or journals and the RTPI / Idox Information Service are really good at finding them and making them easier to access. This need will only grow greater as more and more information is produced. In terms of data needs for the future, what we are increasingly seeing potential from is “Big Data”, for example we can make connections between health, social mobility and environment. In the next 5 or 10 years we will be able to draw on these big data sets, which will be a very powerful tool for planners in making decisions about places, and having a strategic, holistic approach to development. When people talk to you about evidence, research or knowledge, what do they most frequently raise as issues? The big challenge is time – planners haven’t got time to go looking for evidence – and accessibility of research papers, which are buried in academic journals. The academic language is a barrier, and its timeliness. Often it’s interesting to read but doesn’t relate to the current policy context, so research needs to be more timely and more practical and applied. Alongside time, support from their organisations to look at evidence – the access to evidence resources and time or budget to attend CPD is frequently raised as an issue. Not enough research is accessible; academic incentives aren’t about applicability; it’s driven by the need to be of a high standard, set by other academics and journals. It is possible to do academic work which is useable and there are lots of good examples, but there are barriers for the academic to deal with. There is good academic research which is relevant but it’s difficult to find. There are also issues about the subjects covered and academic’s interest versus policy maker’s priorities – sometimes there are overlaps but often they are very different. For example Value of Planning is a key policy issue at the moment – what is the economic impact of planning – but academics don’t see this as an issue as they are already positive about planning. They take for granted that planners have an impact, so don’t see the need to investigate the nature and form of that impact. What are the hard-to-spot mistakes when it comes to developing your knowledge, things you which you really need to avoid? Two things I would highlight. Given what the constraints are, it’s easy to rely on an old body of evidence, what you were taught when you were being trained, and not keeping it up to date. 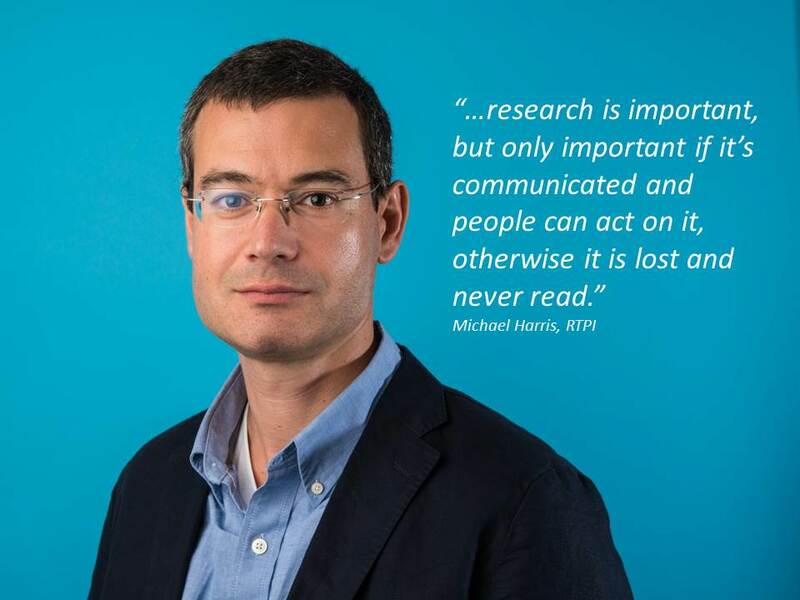 That’s why Idox Information Service and RTPI research, especially practice notes which are aimed at helping practitioners refresh knowledge and keep up to date, are essential. There is also a danger of being too narrow, and not looking at wider areas and topics which affect planning. This creates a narrower perspective on development. Briefing services are really helpful to overcome this, looking at a variety of reports and papers – you can look at the areas you are interested in directly, but you can also scan the broader perspective. Planning should be about not thinking in silos, but how does ‘this’ affect ‘that’ – how can people travel to work, access jobs or get outdoors and you need to think about and be exposed to broader ideas to understand these issues. Thinking ‘economically’ is something we are trying to promote, not just the traditional way, but our argument is that planning is critical to the economic success of places; it can make them more attractive, livelier, sustainable, and environmentally appealing, so it’s the broader contribution to success that is important. Every planning decision contributes to the success of a place. I would like to see a profession known for its evidence-based practice, with practitioners able to find, and understand, in an accessible way, the latest evidence. The future should be where academic research is more and more accessible and applicable to practice having a real impact on delivery. Collaboration between practitioners and researchers makes research more relevant. Projects which have come out of these partnerships have real impact and RTPI will be supporting these projects in the future. So much stuff out there, how do you find out what’s going on? Social media and twitter is an incredibly useful research tool – following research organisations, following blogs, can be really useful. Knowledge isn’t static any more, and things you read only 5 years ago can be quite out of date now, and planners need to continually keep up to date. The RTPI and Idox blogs are good in terms of wide-ranging coverage and highlighting latest research but there are plenty out there. What led you to a role in research and evidence development? I did a PhD in politics and public policy, was always more interested in how you can make research more relevant and of interest to policy makers, but I am also aware of the barriers for academics doing this. 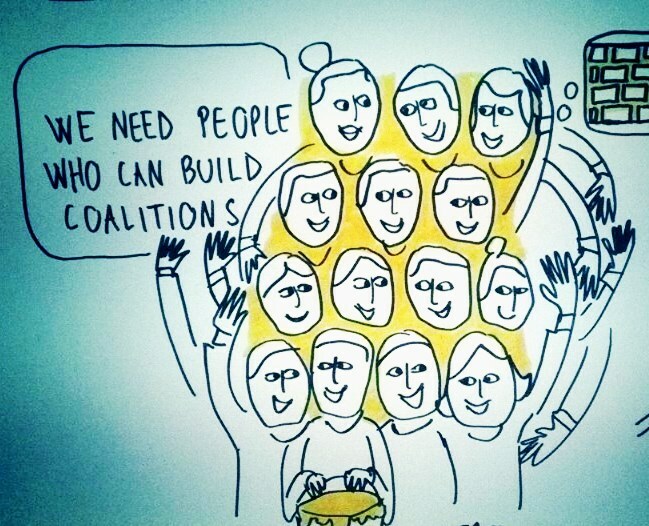 I have always sat in organisations that do this bridging. RTPI, as a learned society is doing this for its members. Research is important, but only important if it’s communicated and people can act on it, otherwise it is lost and never read. I see myself as facilitating its use and contribution to change and improvement in practice. Academic research being read is vital, but academics need to understand the policy constraints, and the importance of making a compelling argument to change practice and policy today. This year Idox is also sponsoring the RTPI Research Excellence Awards, recognising and promoting high quality spatial planning research. Find out more about our work supporting planners on our website. In a time where our Human Rights are being politicised and reviewed there are far reaching consequences of any changes. An example of this is its application to those who suffer mental health issues. Article 5 of the Human Rights Act states that ‘everyone has the right to liberty and security of person. No one shall be deprived of his or her liberty [unless] in accordance with a procedure prescribed in law’. But what happens if a person is a danger to themselves or others? How can society ensure we honour their human rights whilst protecting them from harm? We recently had an enquiry from a member about the Mental Capacity Act. 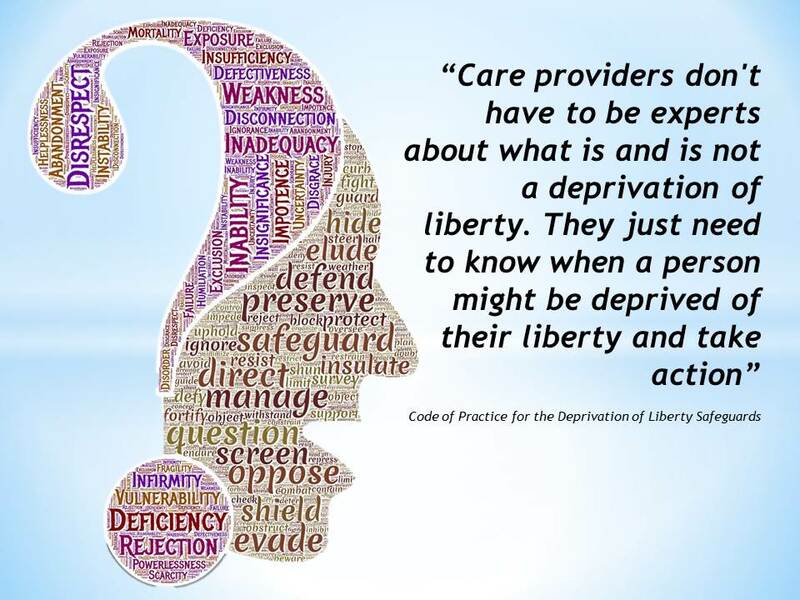 They wanted to understand how the act and, specifically, the deprivation of liberty safeguards would affect their service users. Taking away someone’s right to liberty is a very real dilemma facing service providers who are dealing with safeguarding decisions at the sacrifice of a human right. These safeguards have been put in place to help deal with that situation, give clear guidance and ensure that liberty is protected. If a standard authorisation is given, one key safeguard is that the person has someone appointed with legal powers to represent them. This is called the relevant person’s representative and will usually be a family member or friend. We found that most of the published research into the Mental Capacity Act so far has, in fact, concentrated on the impact it has had in terms of issues around capacity to consent, through the Deprivation of Liberty Safeguards introduced as part of the Act. In March 2014 the Supreme Court identified an ‘acid test’ to understand whether people were being deprived of their liberty. This, and the quantity of research being developed around this area, highlights the difficulty in ensuring that our liberties are safeguarded: each case must be individually assessed and an informed decision made, which make the safeguards vital in the appropriate treatment of vulnerable individuals. ‘Making choice a reality: the impact of the Mental Capacity Act on young people in transition to adulthood’, which presents findings from a research study which explored the impact of the MCA on young disabled people with complex needs and conditions. The Idox Information Service can give you access to further information on act and provides a range of resources for social services departments, more information can be found on our website here. To access services such as ask a researcher or find out more on how to become a member contact us here. We are very pleased to be supporting the new RTPI Awards for Research Excellence this year, recognising and promoting high quality spatial planning research. We see our core mission as improving decision making in public policy, by improving access to research and evidence, and we are proud to be playing a part in these awards to promote academic, researcher and student excellence in this area. The awards are open to all accredited planning schools, and submitted research and its potential implications for planning policy and practice can relate to anywhere in the world (not just the UK and Ireland). The Idox Information Service is sponsoring the prizes for both the student award and the Sir Peter Hall Award for Wider Engagement. 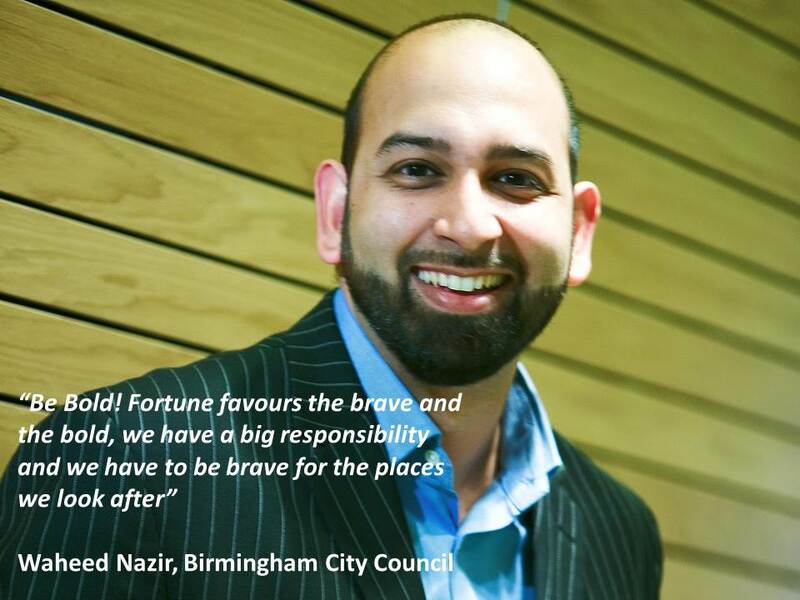 Both these awards are close to our heart, as we seek to help those starting their planning career and support those wishing to ensure stronger engagement with audiences beyond academia. Student Award – One year’s subscription to the Idox Information Service and an iPad mini. Sir Peter Hall Award for Wider Engagement – One paid conference fee bursary (conference fee and/or reasonable travel and expenses) to a practitioner or policy-focused conference (up to the value of £350). The closing date for entries for all the awards is 31st May 2015. You can find out more about the RTPI Awards for Research Excellence here and how to apply here. The Idox Information Service has also introduced a new individual membership offer in partnership with RTPI which offers a 30% discount on the normal price.